Jim Ward in his no-till sweet corn field. Farming in a suburban town just 25 miles south of Boston has both benefits and challenges. Those benefits and challenges result from the same thing, lots of neighbors. Lots of neighbors mean lots of customers for Ward’s Berry Farm’s retail farm stand and pick-your-own operation in Sharon, Massachusetts. They also mean competition for water resources and stricter state regulations to protect public drinking water supplies. 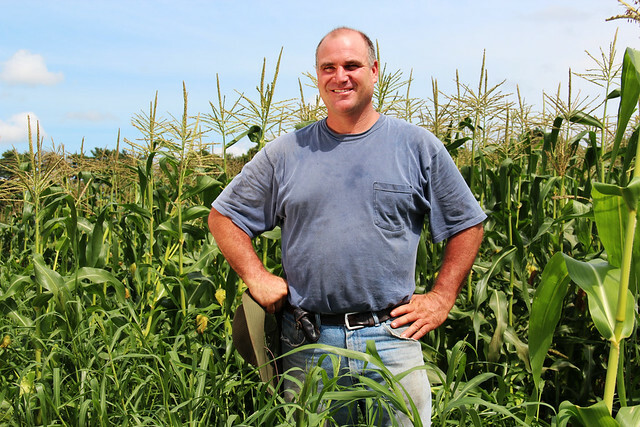 Farmer Jim Ward has found a way to meet customer demand, while protecting water resources; he’s adopted good soil health practices with the help of USDA’s Natural Resources Conservation Service. His soil health management system includes no-till, a way of growing crops without disturbing the soil, cover crops (grasses or legumes planted after regular crops are harvested to prevent run-off and add organic matter) and nutrient management, which means managing soil nutrients to meet crop needs while minimizing the impact on the environment and the soil. 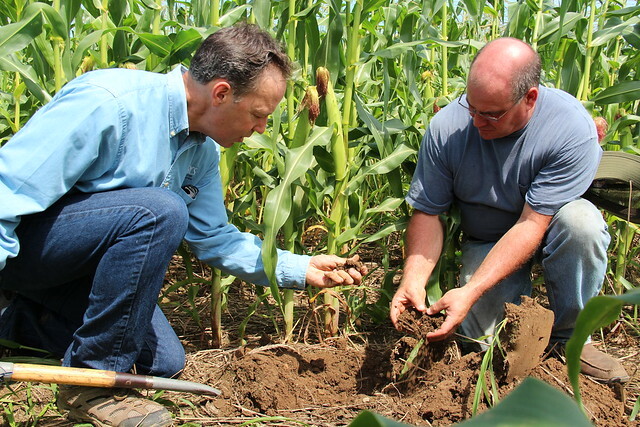 Tom Akin, NRCS Conservation Agronomist and Jim Ward examine healthy soil in the no-till sweet corn field. NRCS is promoting soil health activities to farmers and educating them on how they can implement these practices on their farms. Ward’s soil health practices help him conserve water, making his farm more environmentally and economically sustainable. 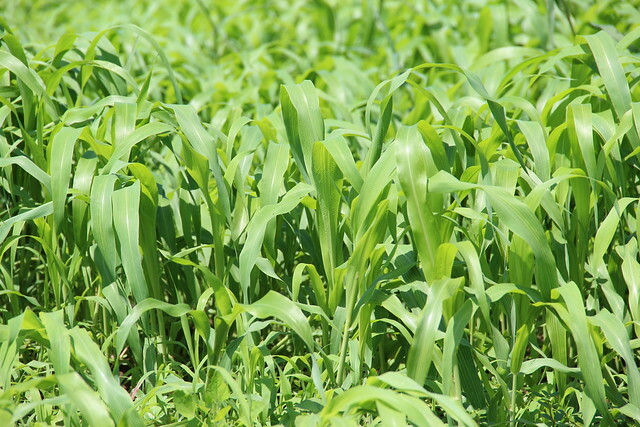 Sudan grass is grown as a cover crop to promote soil health. 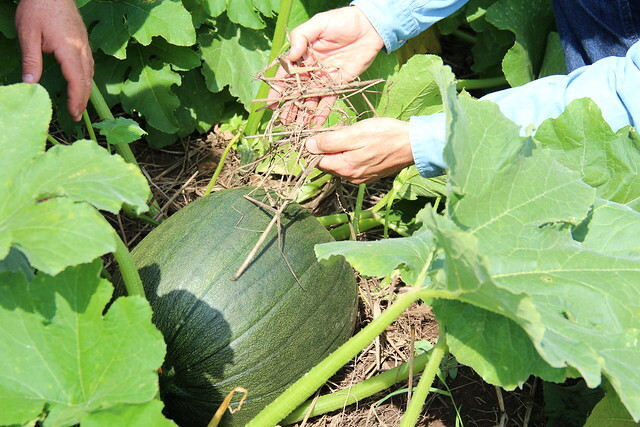 Crop residue from the previous season helps keep the soil covered in a no-till pumpkin field at Ward's Berry Farm.